One of the great pleasures of a visit to France’s Northern Rhone Valley is the luscious Viognier produced in Condrieu. I would have said it was matchless – until I had the equally happy experience of the Viognier from Darioush in California’s Napa Valley. The Darioush Viognier is a recent discovery for me. I first tasted it in the 2013 vintage – a lovely expression of white wine that in its combination of buttery depth and finesse evoked not only the Viognier of Condrieu but also the plush majesty of the top Chardonnays in Burgundy. But by the time I got around to the 2013 Darioush Viognier, that vintage was, as the French say, épuisé – exhausted, spent, gone, forget it. On to 2014, then, but would the new wine measure up to the one I really wanted to restock? The answer: Darioush’s 2014 Signature Viognier ($41) may prove to be even better than its immediate predecessor. Viognier is one wine best consumed young, and one year can bring significant evolutionary alternations. 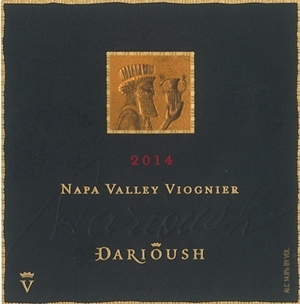 Darioush’s new vintage shows a more delicate profile than the 2013, but it appears to have the stuff of gorgeous possibilities over the short term. The youthful 2014 hits the palate with a bit less weight than the ’13, but by same token it displays an elegance that smacks precisely of Viognier from the Rhone mother source. This wine is a seductive delight that doubtless will take on more body in bottle over the coming months – without losing its subtle charm. And best of all, there’s plenty of it to be had! A favorite refrigerator-purging meal at our house is an omelet, a many-splendored creation from assorted left-overs chopped and sautéed. And what does one drink with such a supper? But of course, Champagne. Which brings me to the lovely beverage that ennobled our most recent omelet of parts, the Blanc de Noirs Brut from Jean Laurent. That phrase “blanc de noirs” indicates white wine from black grapes, in this case 100 percent Pinot Noir. Not a drop of Chardonnay. Nor does this ample-bodied, complex and generously frothy Champagne leave one wishing for a white grape component. 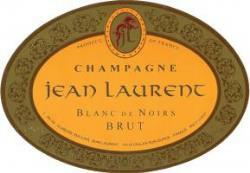 The Jean Laurent Blanc de Noirs Brut ($50) bathes the palate with a heady blend of honey and peach with zesty minerality and a solid citrus-laced frame. Here’s a ringing reminder of why Pinot Noir plays the central role it does in Champagne. In this instance, it’s a monodrama worthy of an encore.